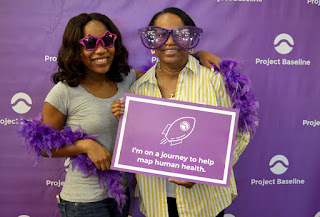 Mapping human health starts with study participants. As 2018 draws to a close, we’re looking back on a year of evolution and growth within Project Baseline—and feeling thankful. Thanks to the efforts of our participants—the Baseline Explorers—and study teams across the country, we’ve grown by leaps and bounds toward our ultimate goal of mapping human health. And there’s more on the horizon. Looking forward to 2019, we asked our team: how do you see Project Baseline, and healthcare, evolving in the year to come? “Aside from the opportunity to create huge impact within healthcare, the most exciting part of Project Baseline to me is the people. 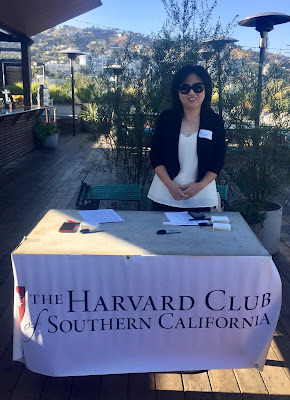 From continuing to partner with participants in our inaugural study, to collaborating closely with patient advocacy groups and other thought leaders, I look forward to growing this community and strengthening the connections between people with diverse backgrounds and expertise." “Project Baseline is creating tools and technologies to collect, organize and analyze health information, including a rich data platform. In 2019, we expect to scale our infrastructure, enable the analysis of multiple health data streams and automate data curation. This will help us advance the mission of Project Baseline." We’re eager to take on these challenges and opportunities, building on the foundation of milestones we’ve achieved together over the past year. Here are a few moments that stand apart from the rest. 2. More precise sleep data, thanks to Explorers! In partnership with sleep expert and New York Times best-selling author Matthew Walker, Project Baseline researchers developed a sleep diary. The purpose of this tool was to understand how objective measures of sleep, such as information gathered by participants’ sleep sensors, compares to subjective self-reports of sleeping habits. Objective vs. subjective sleep data: what can we learn with clinical research? While we are continuing to collect this information from new participants, we’ve already seen an important result. Based on participant responses, we were able to refine the sleep sensor algorithm to make the data more accurate and therefore more useful for researchers. Interoperability, or the ability to connect data between systems, is a challenge in healthcare today. Increasingly, patients and healthcare providers are demanding a simple, fast way to marry data from different sources. 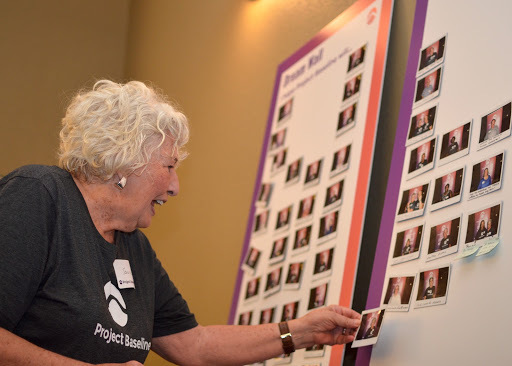 To help, Project Baseline launched a novel way for participants to share their Medicare claims records with Project Baseline. 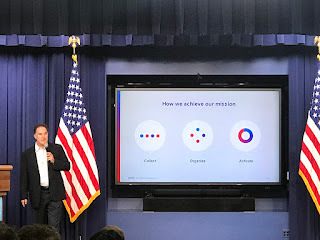 Our team was even invited to the White House to present this cutting-edge work! Project Baseline hits the road, presenting our vision in Washington. 4. 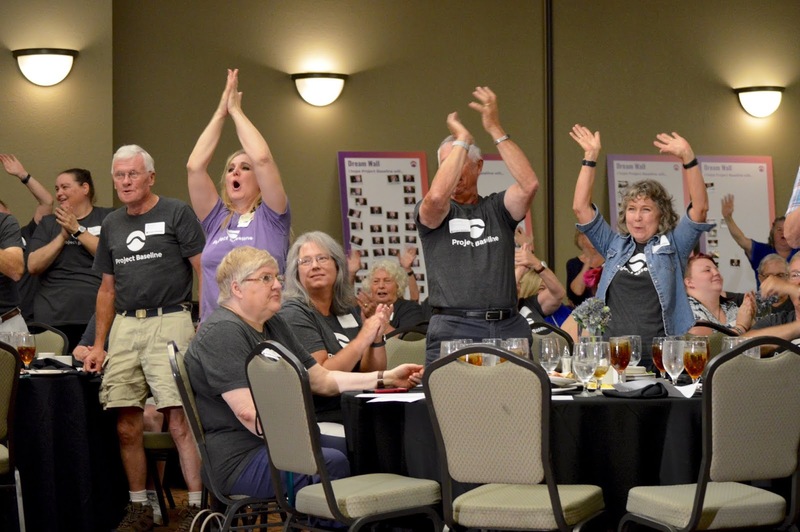 Celebrating Project Baseline’s first anniversary! Marking a year of Project Baseline with study teams and participants. For our teams, one of the most rewarding aspects of the study was the opportunity to connect with thousands of participants and their loved ones. A coast-to-coast anniversary celebration brought together researchers, participants, and families to celebrate Project Baseline’s first birthday. 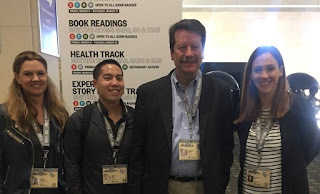 Our talk at South by Southwest, Empowering People to Own Their Health, was named “best health-track panel!” Former FDA commissioner Rob Califf; Bray Patrick-Lake of Duke University; Scott Jung, Medgadget senior editor and study participant; and Project Baseline platform lead Scarlet Shore discussed the growing need to democratize research. How can we harness the power of health data? Project Baseline’s long-term goal of preventing illness before advanced disease states manifest was also covered in the New York Times. “We have always thought that if we learn more about what your body is doing before you become ill, then we would have a much better chance of ideally preventing or at least detecting things early,” said Dr. Sam Ghambir, a top cancer researcher at Stanford University. To hear more from researchers and participants, including Rosa Gonzalez, Baseline Explorer and advocate for minority inclusion in clinical research, check out the full story. 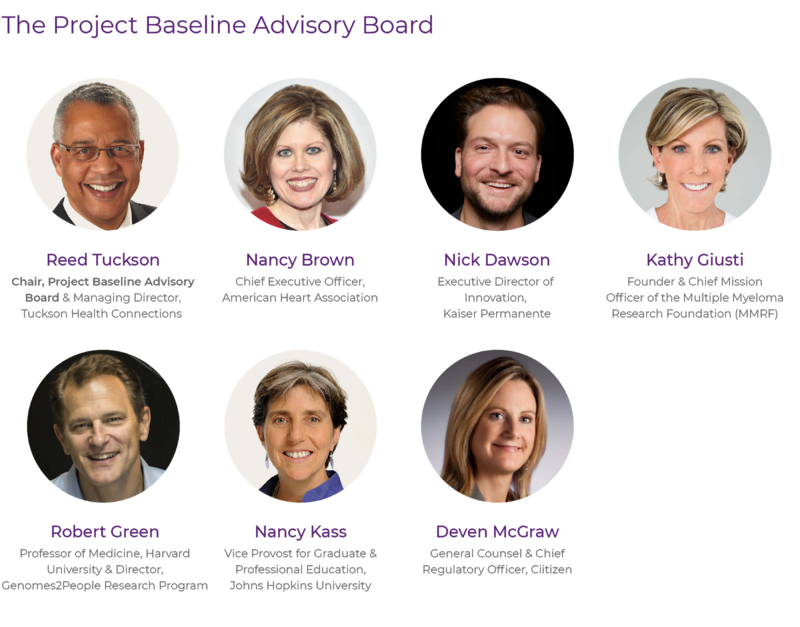 2018 was a banner year for Project Baseline, and we’re excited to continue exploring the frontier of human health. See you in 2019! 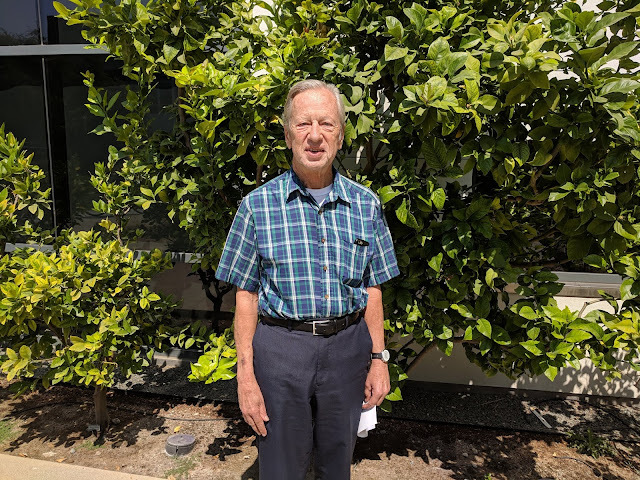 Shortly after attending the Project Baseline One-Year Anniversary Celebration, and 2.5 years after he began tracking his activity, David Norlander officially hit 10 million steps. At roughly 11,000 steps per day, that’s more than two times the national average. 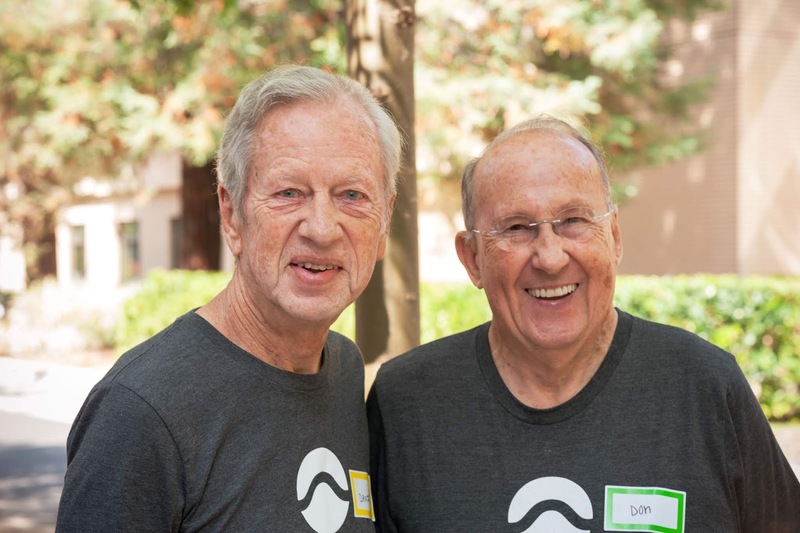 So it may come as a surprise that David, a Project Baseline study participant at Stanford Medicine, is 79 years old. In fact, David has been giving other athletes a run for their money (no pun intended) for decades. At age 60, he got first place for his age division in the Silicon Valley Half Marathon. 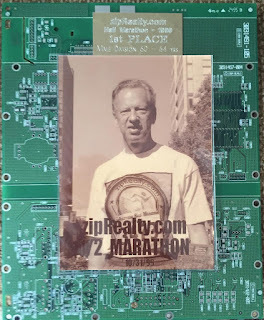 At age 72, he got second place for his age division in the California International Marathon. During his best 5k and 10k, he ran an average of 6:42 and 6:51 per mile, respectively. 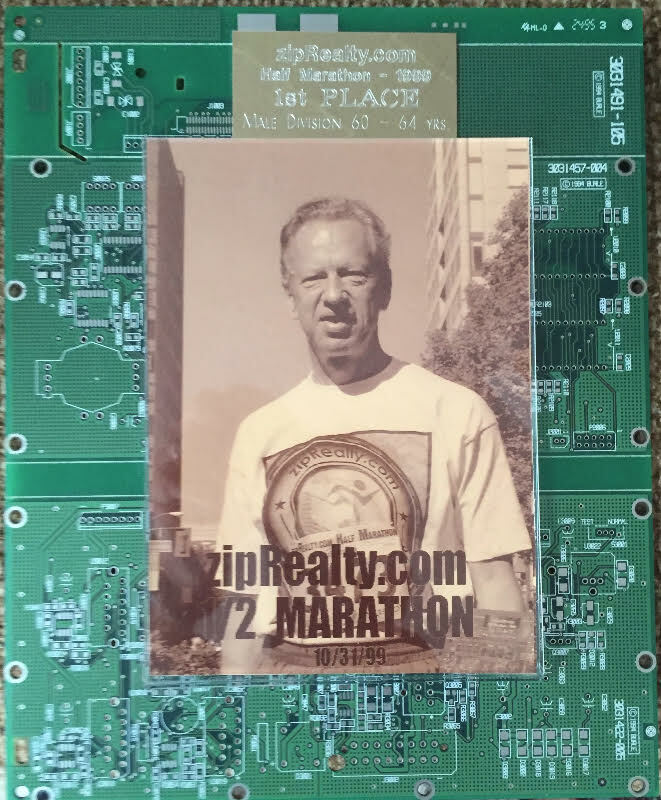 David’s circuit board award for first place in the Silicon Valley Half Marathon. David grew up in Minnesota and spent his career in the Bay Area as an electrical engineer—or, as he put it, a “typical Silicon Valley nerd type.” His work with the U.S. military also took him around the world, including extended overseas assignments in Turkey, Pakistan, Thailand, and Japan. David’s daughter is a medical doctor and a Type I diabetes researcher who joined the Project Baseline study in November 2017. 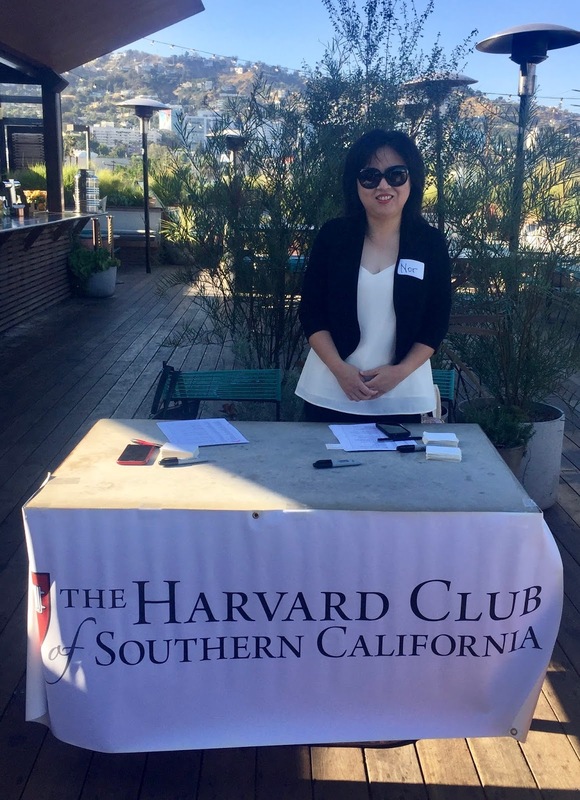 When she told David about the opportunity to contribute his daily activity data and a range of other health information to research, he joined right away. David also encouraged his former colleague and close friend, Don, to join with him. Little did they know, a finding from one of the Project Baseline clinical research tests* would trigger David’s doctor to perform a series of follow-up tests and, in July 2018, a surgery that likely saved his life. David (left) and his good friend Don (right), at the Anniversary Celebration. In the months that followed, David worked closely with his healthcare team. All the while, he kept going for runs and weekly 10-mile hikes with friends. David had never missed a day of work in his life due to sickness, and he wasn’t about to let mantle cell lymphoma (cancer of white blood cells) or subdural hematoma (blood between the brain and skull) stop him! When he turns 80 next year, David plans on running the Avenue of the Giants Marathon in Humboldt Redwoods State Park with his two daughters. David, we’re cheering you on! *While David's experience is inspiring, it’s important to note that tests conducted in the Project Baseline study are investigational and conducted for the purpose of research, not medical care. Over time, one of our goals is to better understand how to share results so that the information is useful. You can learn more about this topic in a recent blog post by the co-chair of our Return of Results Committee and in this publication by Project Baseline investigators.